Dan co-founded Adviser Investments in 1994. He has bottom-line responsibility for the overall business, including marketing, sales, finance and new product development. In 2004, he was selected one of the Boston Business Journal‘s “Top 40 Under 40” business leaders. He serves as a director on several boards, including the Eastern Massachusetts Better Business Bureau. Dan has been profiled in Investment News magazine and appears regularly as an on-air commentator for New England Cable News. He is also a member of the Young Presidents Organization (YPO) and served as a Big Brother for 10 years. 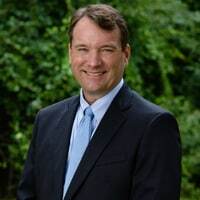 Dan earned a bachelor’s degree in history from Tufts University and an MBA from the University of Virginia’s Darden Graduate School of Business Administration. He resides with his wife and two children in Newton, MA.